Maria Sebastian has opened for dozens of national acts and has recorded with many of their members. She has earned 12 Buffalo / Nightlife Music Awards, a People’s Choice Award, a Buffalo Spree Album of the Year Award for Yellow Envelope, 2009, and a Global Music Award for her performance on film producer Michael Z. Gordon's song "On the Run," produced with Nelson Starr (used in the 2015 remake of the film Narc). Maria also won a NISOD Master Teacher Award in 2011 through Genesee Community College, and an Adjunct of the Year award at Niagara County Community College (2013), two schools she has taught undergraduate writing for. 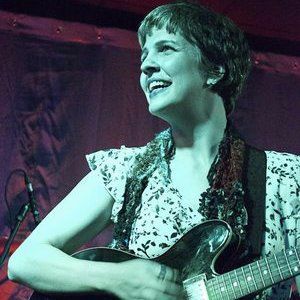 She has had music placed in television and film (3 lbs., Narc (2015), Discovery Channel, Melrose Place, others), performs regularly in Buffalo, and has played select northeast venues as an acoustic singer/songwriter—including opening 8 times for Roger McGuinn of The Byrds. In 2011, Maria toured across the US with 10,000 Maniacs as a backing vocalist, and rhythm guitarist. Her 2009 CD, Yellow Envelope, has earned her praise among all it has been passed on to, including The Hudson Valley’s Freeman Online (“Sebastian has a great record on her hands here.”) Her 2011 CD features songs for, or inspired by, figures including Maya Angelou, Malcolm X, Comic Icon Harvey Pekar, Muhammad Ali, Harry Nilsson, and others. Maria is currently putting together her forthcoming CD "Be," produced, again, by Nelson Starr. Maria is currently putting together her forthcoming (2016) CD "Be" with greats Nelson Starr and Frank Grizanti. She also has a lounge trio with Grizanti and Ron Davis playing shows in the Buffalo area, and she tours whenever possible with husband / poet Perry Nicholas playing intimate listening rooms across the northeast. For extra fun, and something different, Maria recently joined electronic ("Dream Beat Noir") band Dotsun Moon. More to come on that!.